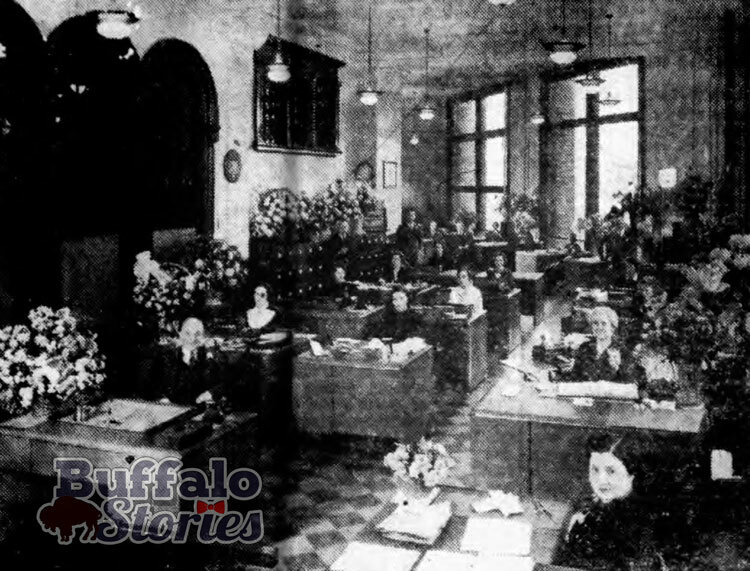 In 1892, Buffalo’s skyline was filled with church steeples and old city hall — the building we now call old County Hall on Franklin Street. Those structures weren’t yet competing with office towers and apartment buildings for airspace above the city. 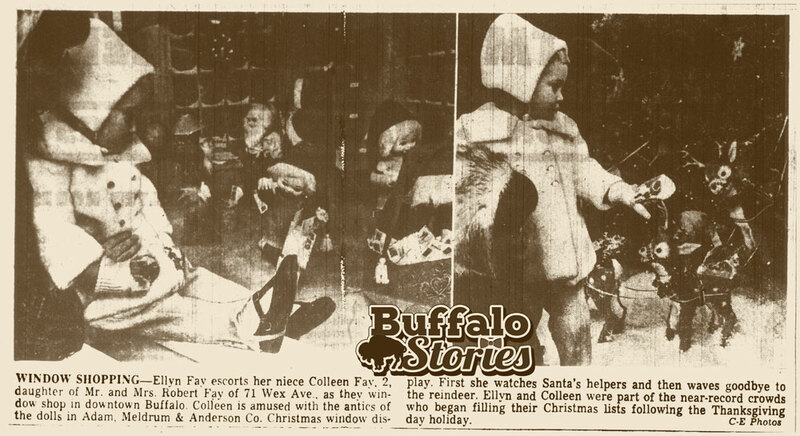 Having been in Buffalo for about five years, M.F. 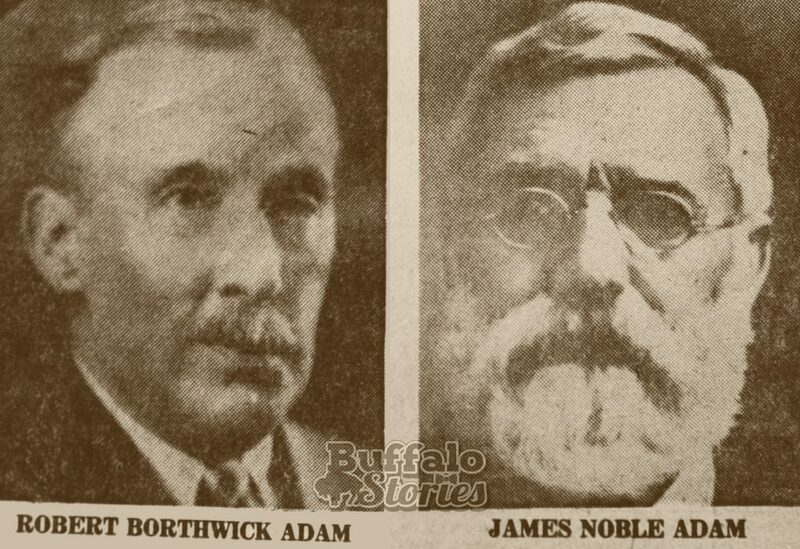 Wright, manager for the Union Central Life Insurance Company, put together a proposal for Buffalo’s first high-rise. 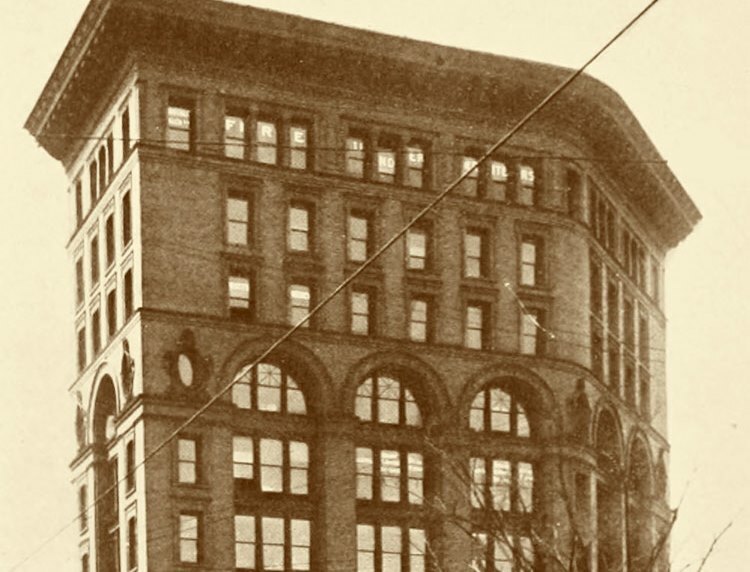 By the spring of 1893, Green & Wicks architects were accepting construction bids on what had become a 10-story design made of granite, steel and terra cotta at the corner of Pearl and Swan. The expected cost was $175,000. 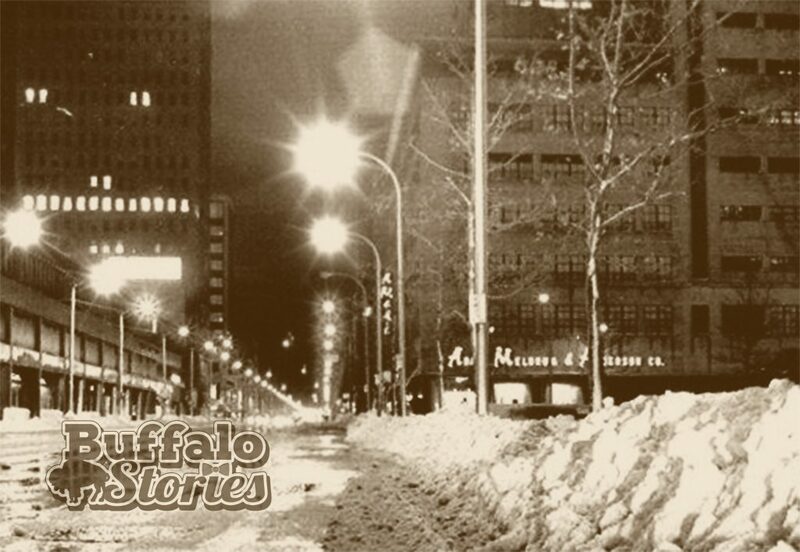 The building of Buffalo’s first high-rise was carefully followed in the press. It will be a 10-story structure, all of ornamental fireproof construction, and will be about 140 feet high. 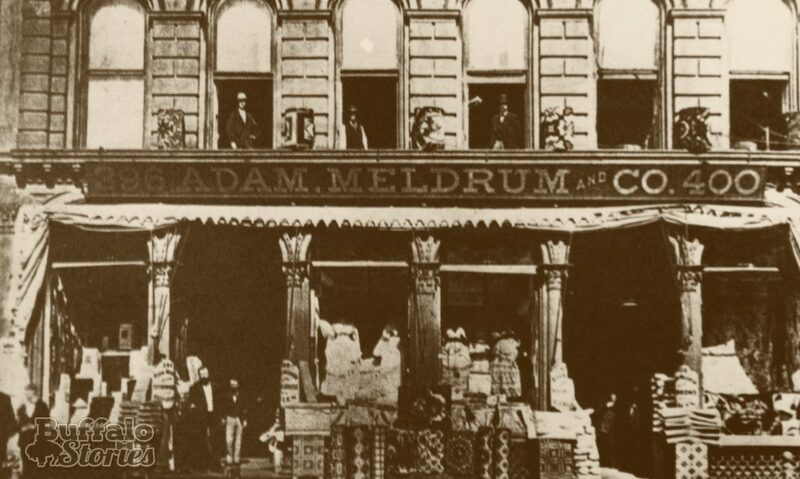 It will have a base of Medina sandstone, the body of the building to be of light colored brick. The doorways will be of terra cotta to match the sandstone base. The effect will be very pleasing. Steel construction will be the rule throughout. The floors will be of steel beams and brick arches, with proper woodwork. The halls will all be of marble mosaic. The basement of the building will be used as a restaurant, which will have independent entrances, as well as approaches from the building itself. The boilers, engines, and dynamo for electric lighting will be under the sidewalk. The first floor will be the Union Central Life office. Above this will be nine floors of eight offices each. The entrance hall proper will be all marble. The roof will be flat and asphalted. 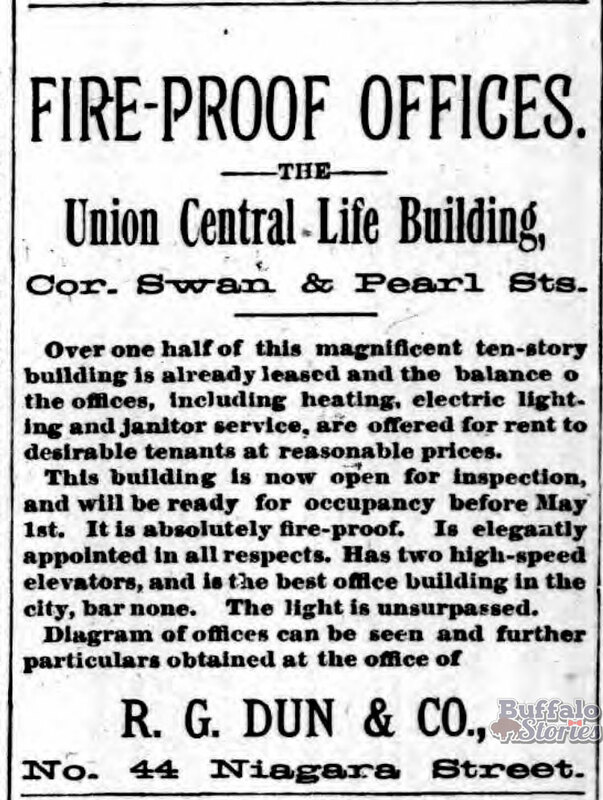 Even the digging and building of “the best and most elaborate foundation in the city” received glowing press. Perhaps caught up in the excitement of it all, Union Central Life’s Wright also became involved in building speculation at another site downtown, and was unable to make payments on the larger structure’s bonds. R.W. Dun & Company swept in, paying the bills on the nearly completed building and putting its own name on it in the process. 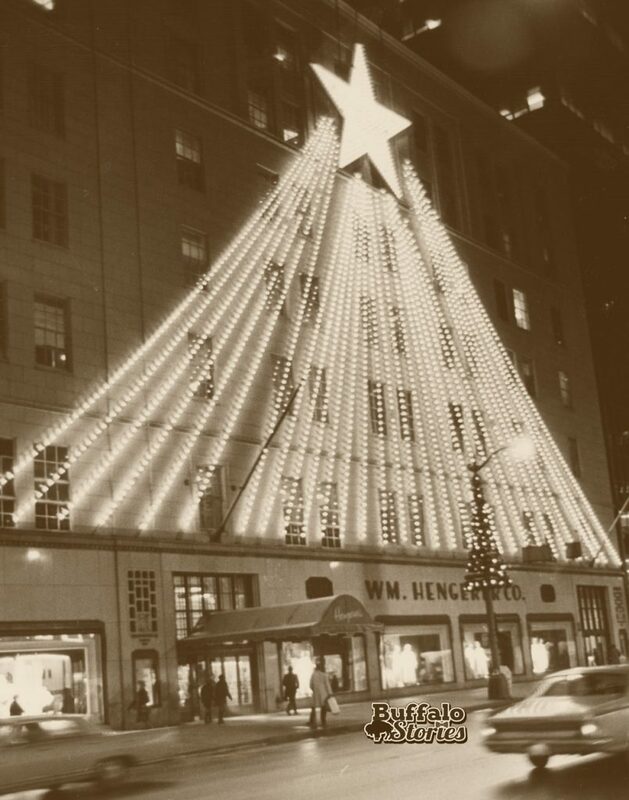 Among the first tenants of the Dun was the US Weather Bureau, which was first organized by Buffalo native Gen. Albert J. Myer 25 years earlier. 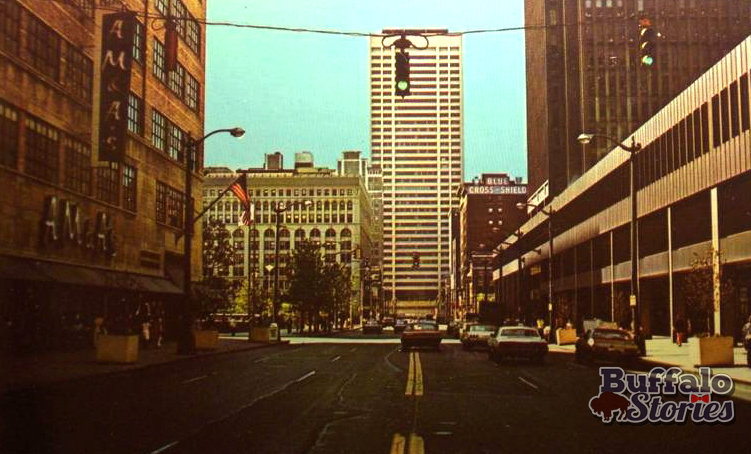 The Dun Building may have been Buffalo’s first high-rise building, but excitement waned as it was the first of many. 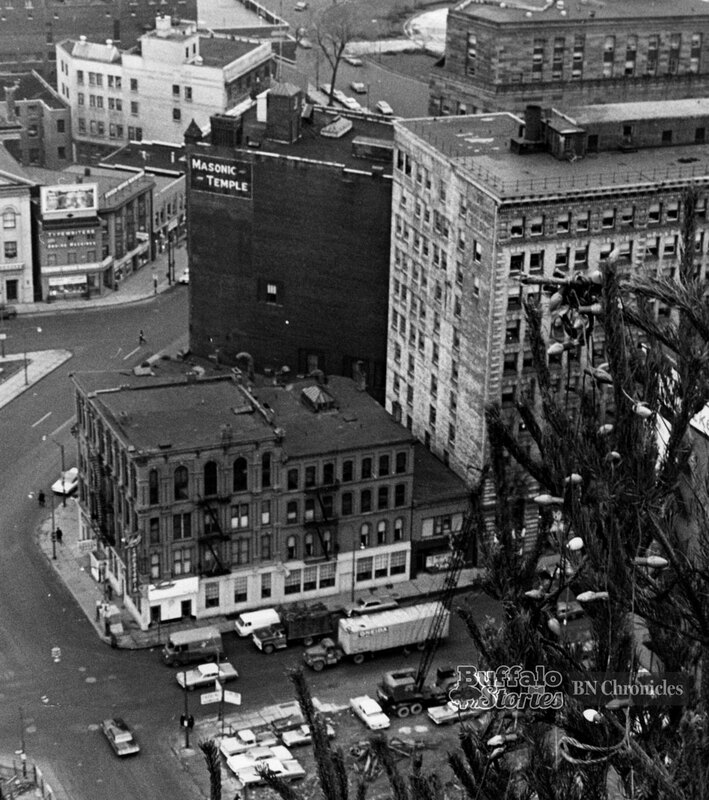 Just as construction was wrapping up at Pearl, Swan and Erie, the structure of the Morgan Building at Niagara and Pearl was already 12 stories high, and the eight-story Brisbane building was going up at Main and Clinton as well. 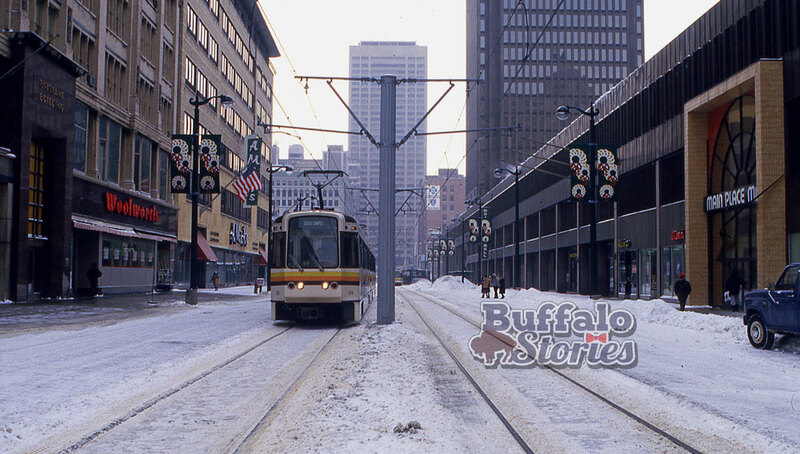 But “the hope of the average Buffalonian” hinged on an almost unimaginable building that would “occupy a whole square block in the very heart of the city,” at a point where all the streetcar lines converged. 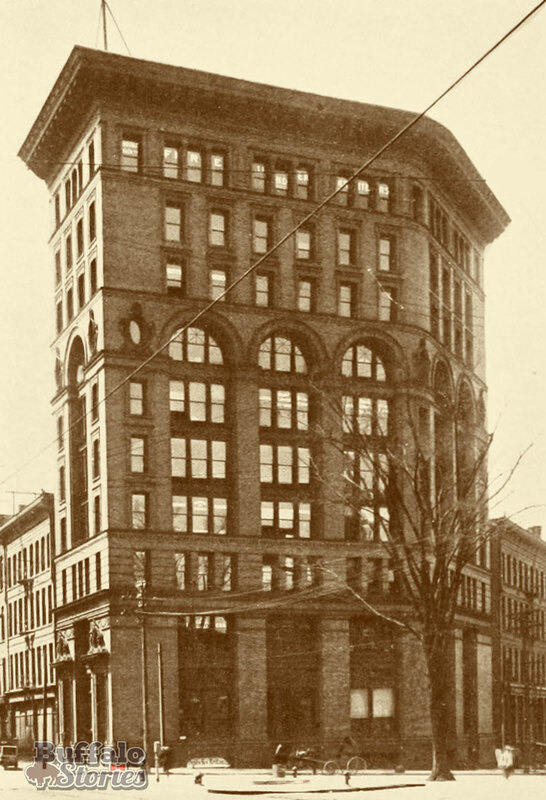 The Ellicott Square Building was the world’s largest office building when it was completed with much fanfare in 1896. 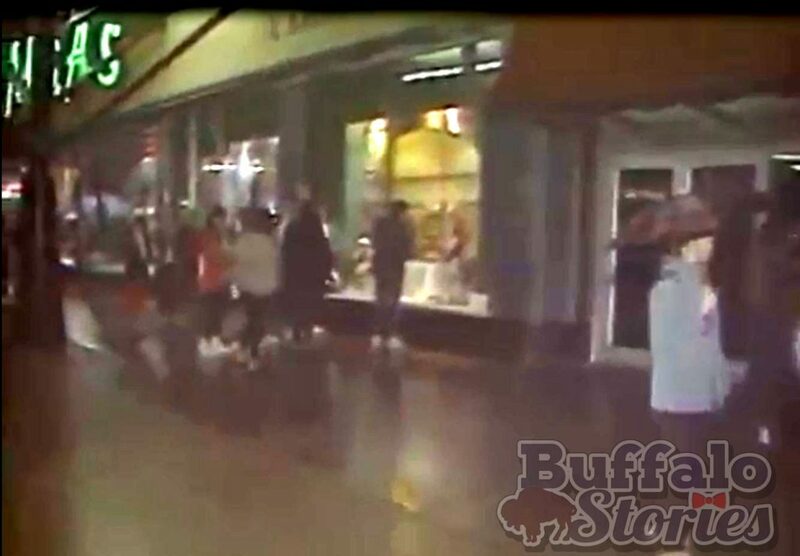 As Buffalo’s eyes were going up, they were also going back. 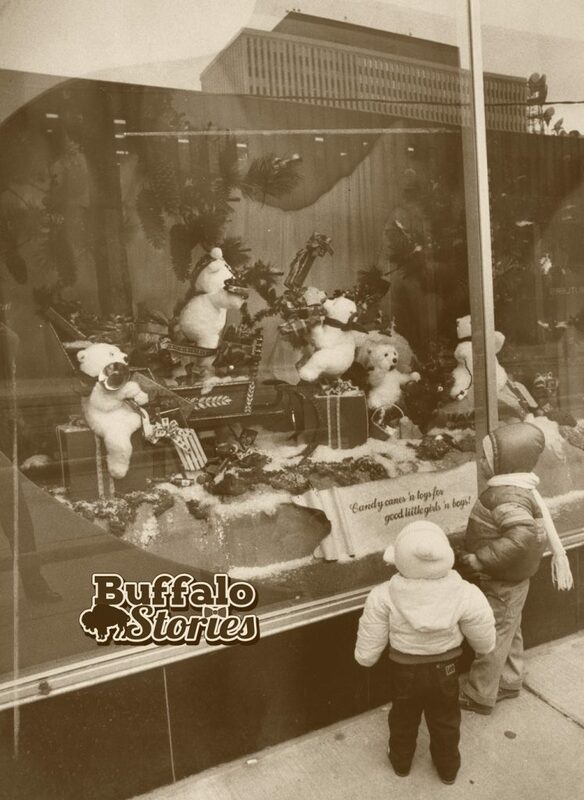 The construction boom made historically minded Buffalonians scramble to codify quickly vanishing vestiges of Buffalo’s past. 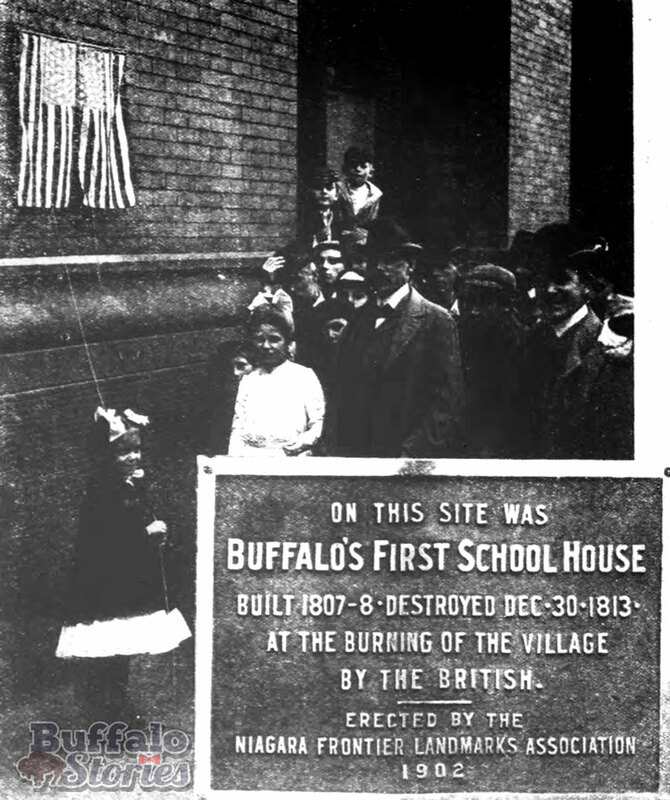 In 1902, a wall of the Dun Building became the site of one of the city’s first historical markers, marking the spot as where Buffalo’s first schoolhouse stood — before it was burned during the War of 1812. 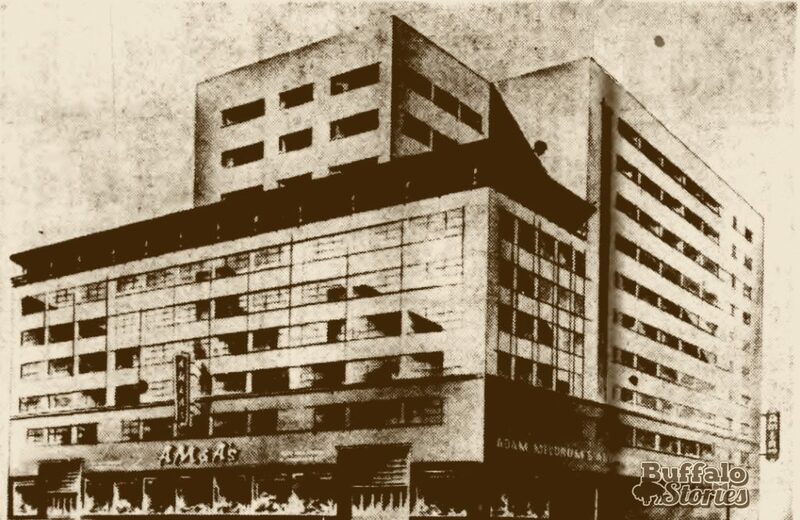 A 46-year era came to an end in 1968 as Laube’s Cafeteria – first opened in 1922 – closed as business nearly ground to a halt with the building of the Main Place Mall across the street and demolition started for the Rath Building just to the south. 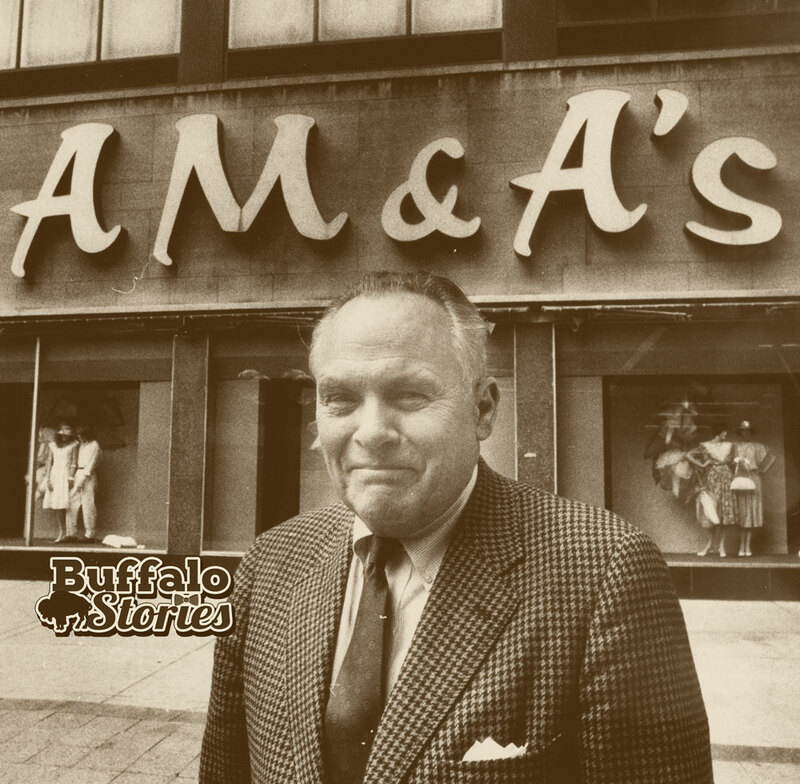 Charles Laube started the restaurant empire, which briefly spread to Rochester, in 1907 after moving to Buffalo from Germany. 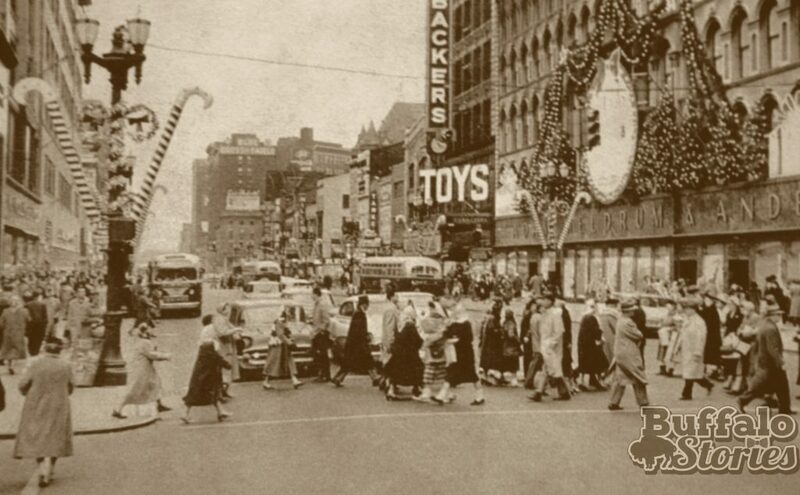 His first place was called “My Lunch,” a 32-seat diner at 33 Niagara St. 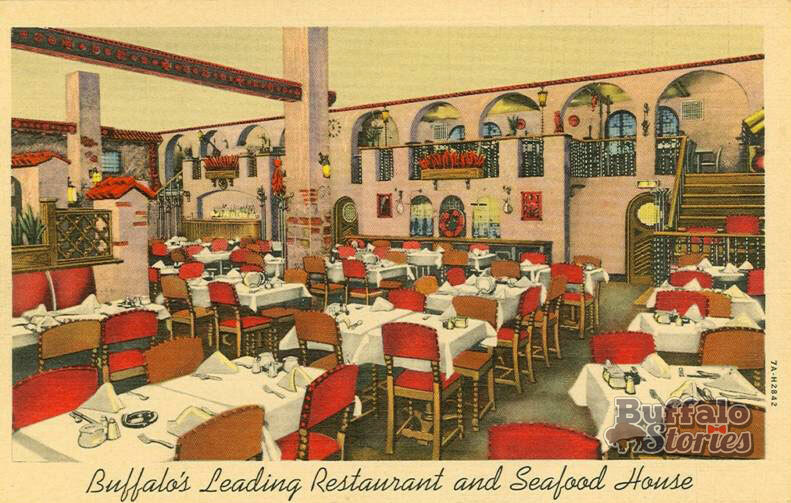 When the larger building opened up around the corner at Pearl and West Eagle, Laube hopped at the chance and created one of Buffalo’s most beloved dining spots through the 1930s and 1940s. Diners catching one last meal before the neon and grills went cold remembered how novel the idea of balcony seating was when the place first opened. 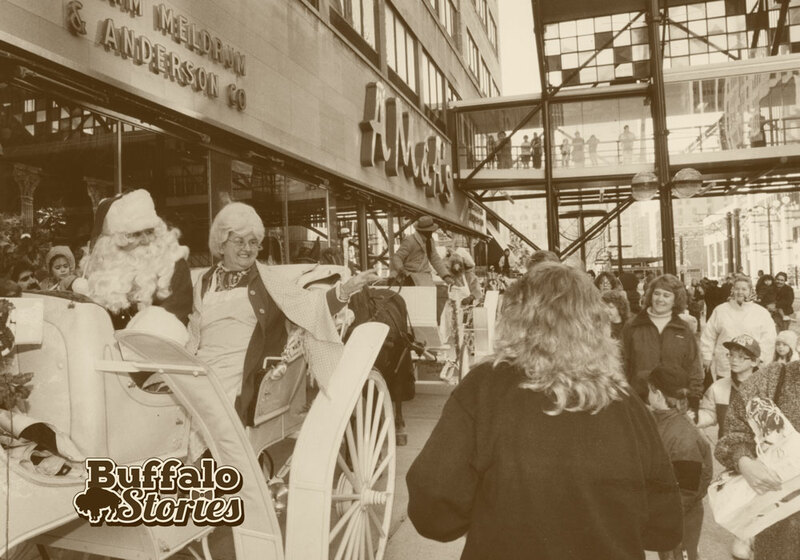 “Being taken to Laube’s for lunch before a matinee at the Buffalo Theater was a treat – maybe the best part about coming downtown,” remembered one Buffalonian. 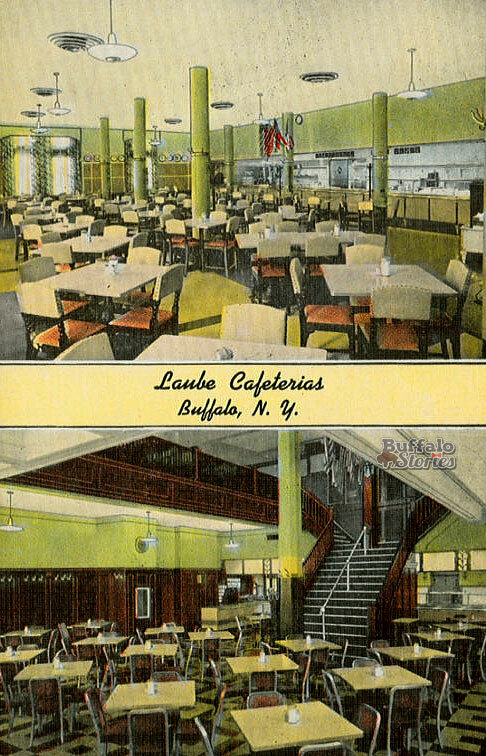 At its peak, 2,000 people a day ate at Laube’s Cafeteria, where the well-known slogan was “famous for food.” Laube’s was also famous for quality and high standards, only giving into the overwhelming savings of paper napkins over cloth napkins within the last few years of operation. 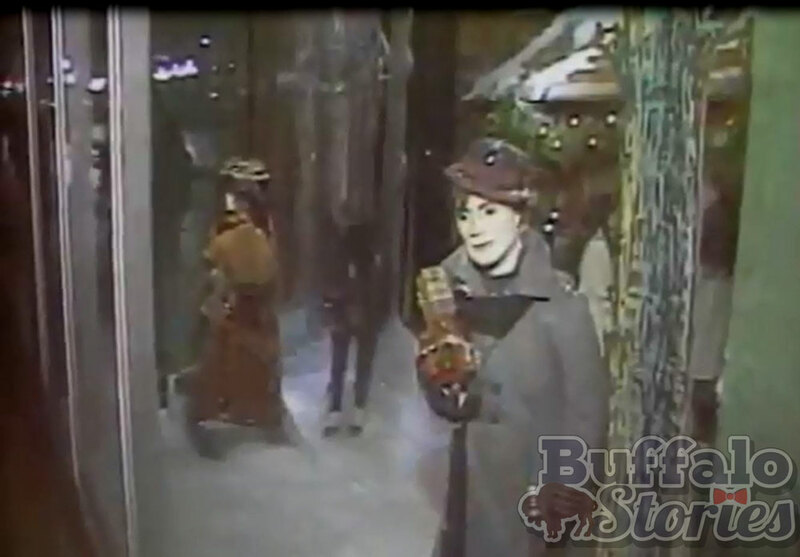 The fate of the Laube’s building was sealed within months of the restaurant’s closure. 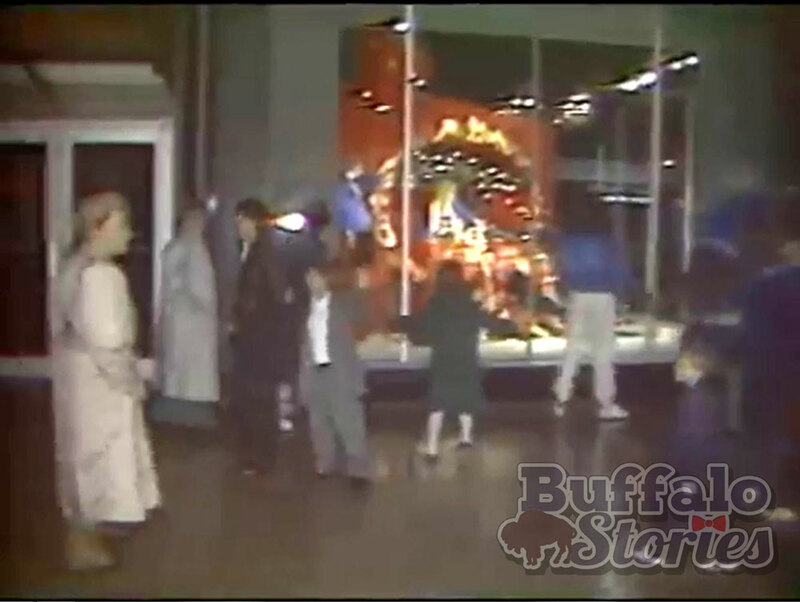 The City of Buffalo bought the property, and leveled it with hopes of a companion development to Main Place Mall. 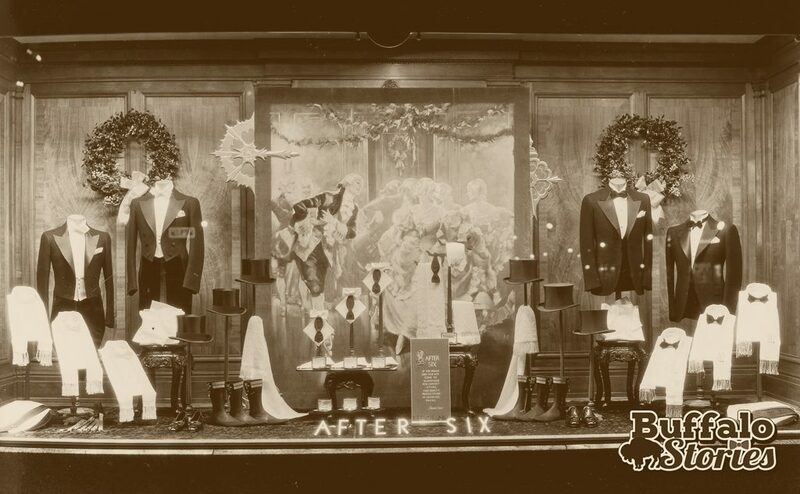 The Laube family still operated a cafeteria inside the YMCA as well as a full-service restaurant inside the Lord Amherst Hotel at Main and Kensington in Snyder. 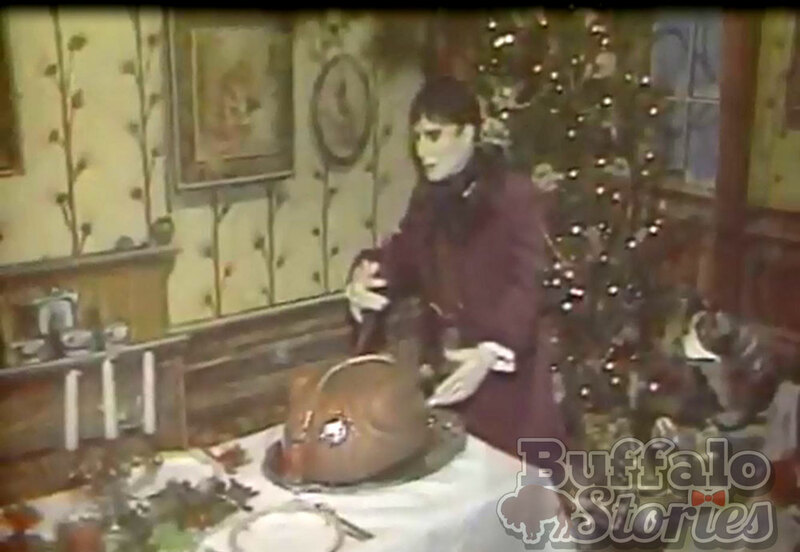 By then, the family’s best remembered restaurant, Laube’s Old Spain, located next door to Shea’s Buffalo Theatre in downtown Buffalo, had already been closed. 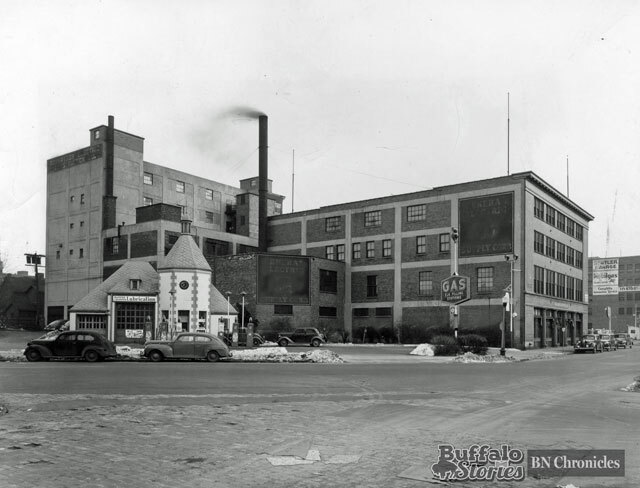 The City of Buffalo assumed ownership of the Shea’s Buffalo and Laube’s Old Spain building for back taxes at the same auction in 1975. 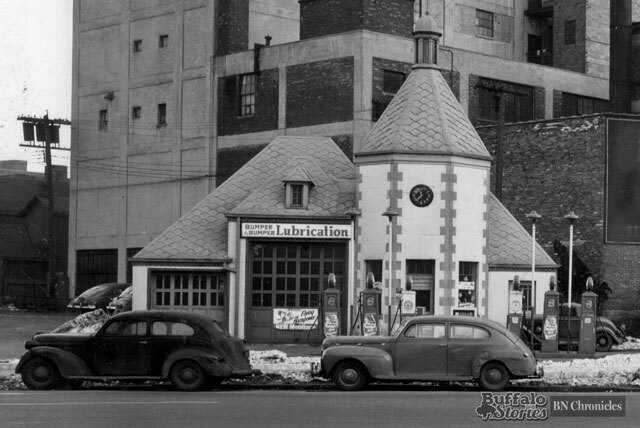 It’s been the site of a parking lot for most of recent memory, but in 1951, as you left City Hall, walking up Niagara Street towards the West Side, an interesting little gas station was among the first buildings you’d encounter. The gas station, which was on Niagara Street, is long gone, but the building next door on the very short piece of West Mohawk Street still stands. 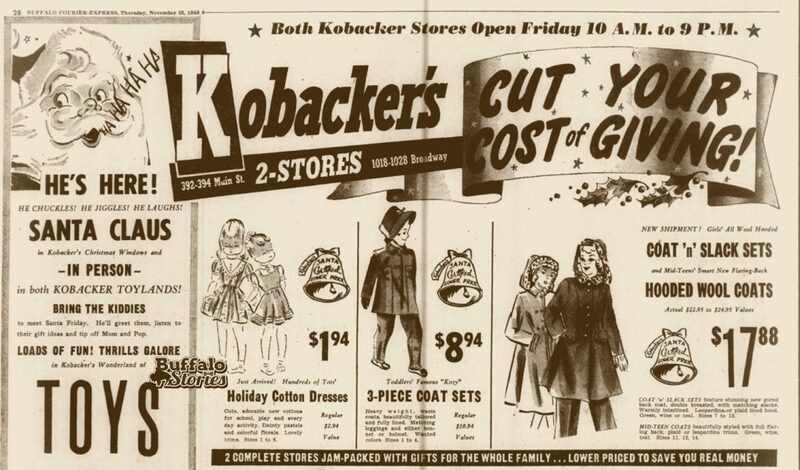 Posted on September 29, 2015 January 2, 2017 Categories Buffalo Neighborhoods, Buffalo's Pop Culture HeritageTags downtown Buffalo, gas stations, Niagara St.
BUFFALO, NY – My friend Libby wrote something the other day which made me think. She was talking about the cold and the gray and the snow, and how we don’t even realize how the darkness of it all creeps into our personality. I read this amidst my going through my collection of old radio and TV trade magazines. 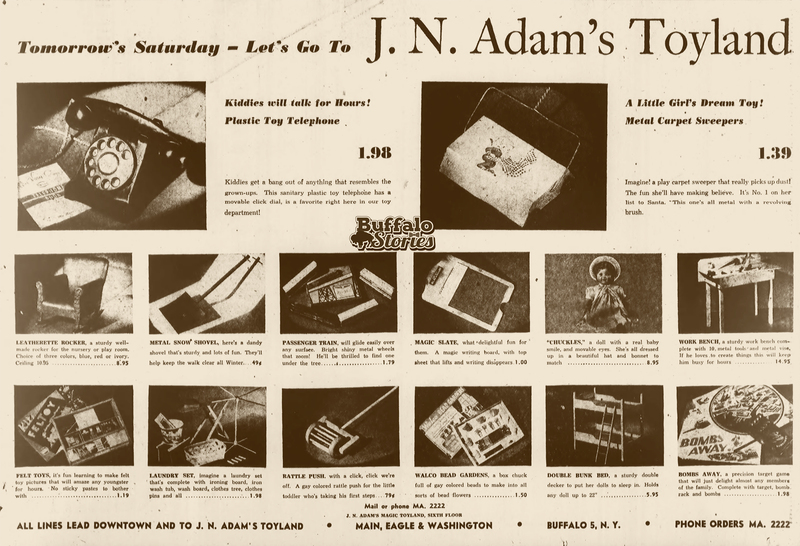 In the late 50s and early 60s, these magazines were filled with ads from local radio and TV stations looking to appeal to national advertisers. They talk about how great the station is, but also how wonderful the city and it’s people are– a great place to sell your stuff. 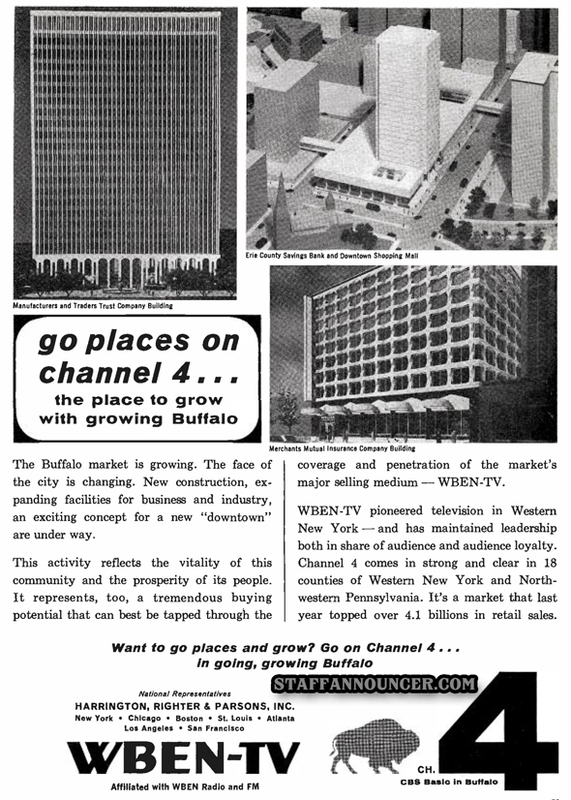 There are plenty of great ads from Buffalo stations. 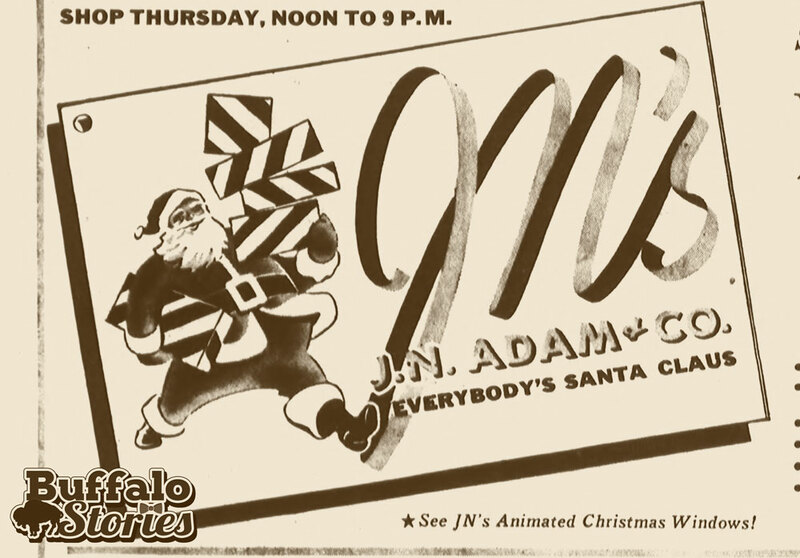 It’s like a Buffalo version of the wacky creative efforts you might see from the guys on Mad Men. I’ve used these old magazines as a resource for years. Decades even. 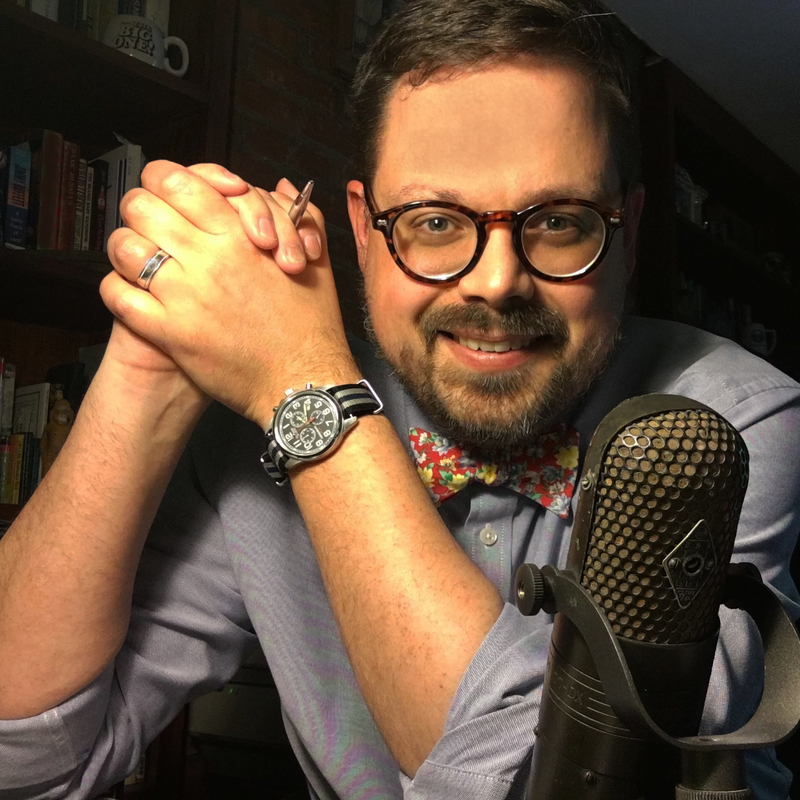 This time, however, the feeling was different, and Libby’s exaltation helped me put my finger on what made some of these ads better than they were the last time I looked. 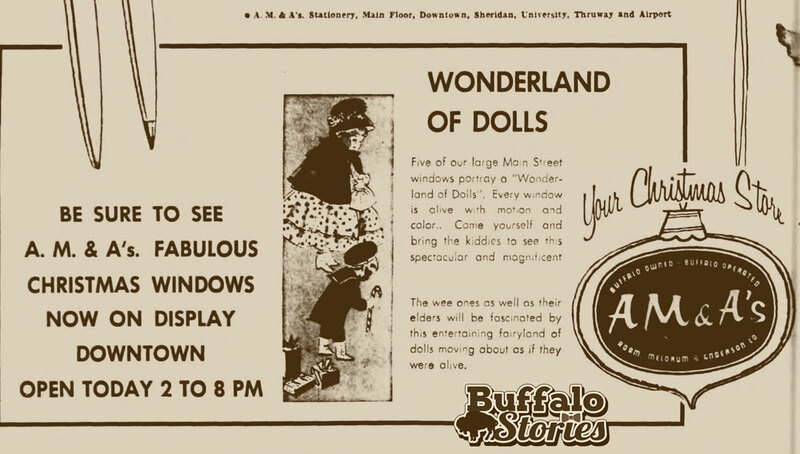 These ads look better and more interesting, because there is hope and brightness in Buffalo like we haven’t seen here since the late 50s. 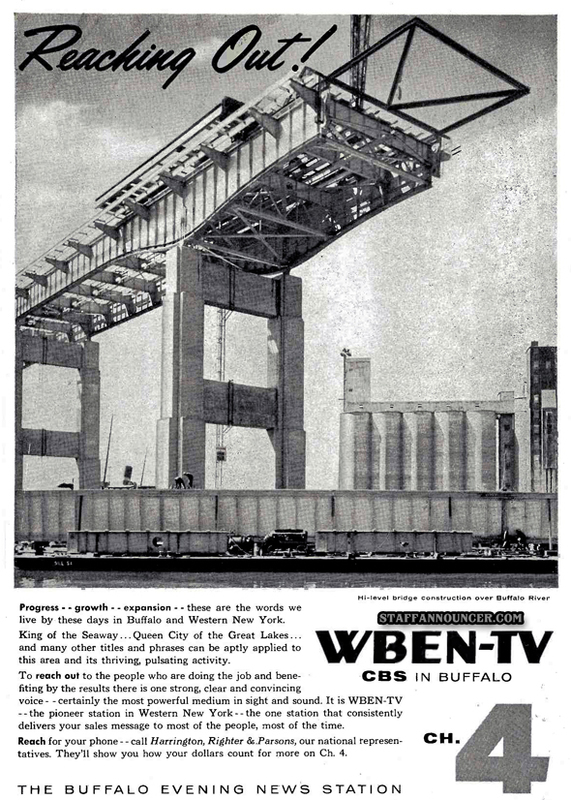 These ads, from 1958 and 1964, show WBEN-TV’s excitement for Buffalo and what is to come, and are meant to showcase the “just-over-the-horizon New Buffalo” that was on it’s way. 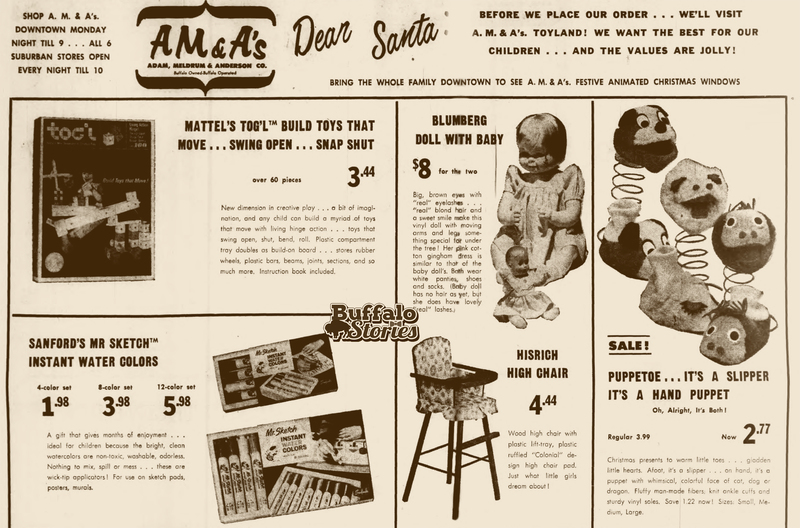 These ads feel fresh and great, because while there was a 60 year lag, that New Buffalo really is just around the corner this time. When we were filled with gloom and darkness about our city, we would look and read these, and point to the empty, rotting grain elevators as a vestige of a vanished industry. 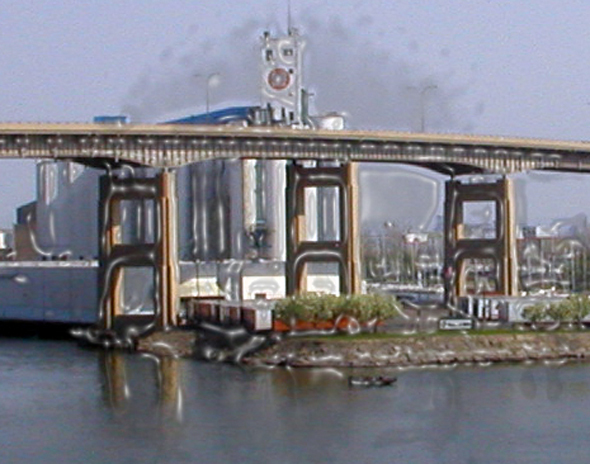 We’d look closely on the Skyway image, and see the beams marked with the logo of Bethlehem Steel. It was a bridge built to get 15,000 men from the city to their jobs in a plant that’s been cold for 30 years. 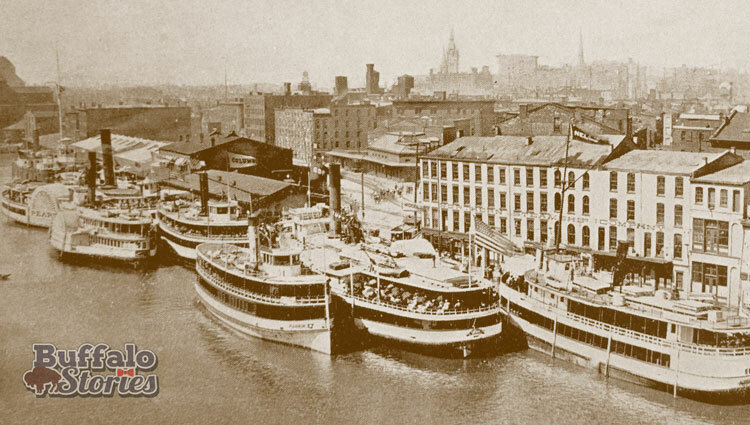 We imagine what Buffalo would have looked like if we didn’t build highways and downtown office buildings for 2 million expected Western New Yorkers, and we lament the buildings that were lost because too much of downtown was torn down too quickly for the wrong reasons. But now, with the sun out here for the first time in generations, we look at these images and see progress and what’s to come. We now recreate under the Skyway, with promise of more to come. 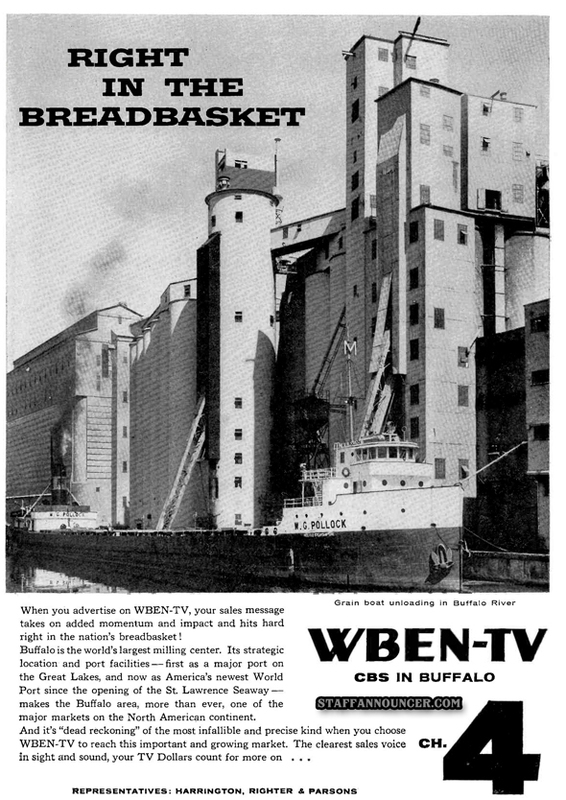 Grain elevators and malt houses are becoming the avant-garde, up-and-coming spaces that the next generation of Buffalonians realize are incredibly unique to us alone, as moves are made to re-imagine and re-purpose what makes us unique. 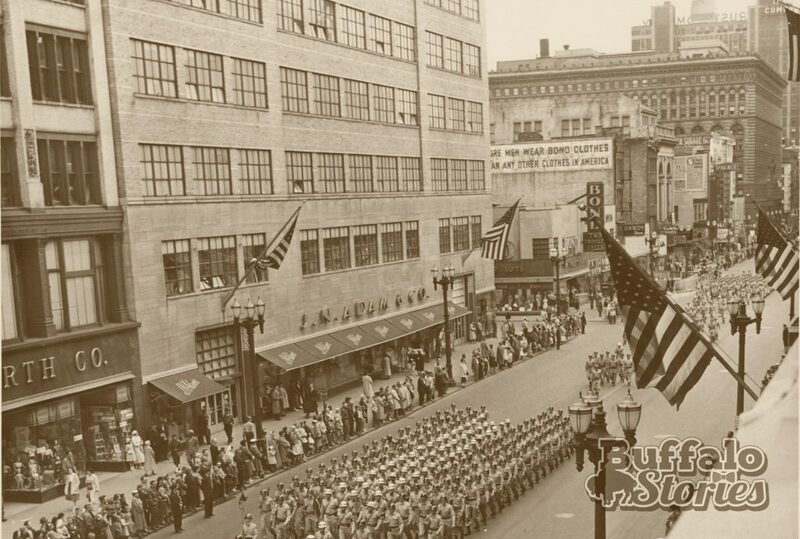 As the sun shines, and us Buffalonians feel the depression about our city lift, we’re beginning to figure out how to make our dynamic past, part of our dynamic future. And we’re getting excited about seeing how the same ol’stuff starts to look different with some sunshine on it, warming the face and the soul.